Email Deliverability Benchmarks: What Share of Messages Make It to Inboxes? 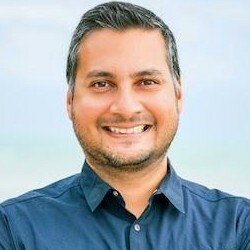 Some 20% of email messages sent by marketers never make it to their intended recipients' inboxes, according to recent research from Return Path. The report was based on analysis of 2 billion promotional/marketing email messages sent to consumers around the world between July 2016 and June 2017. 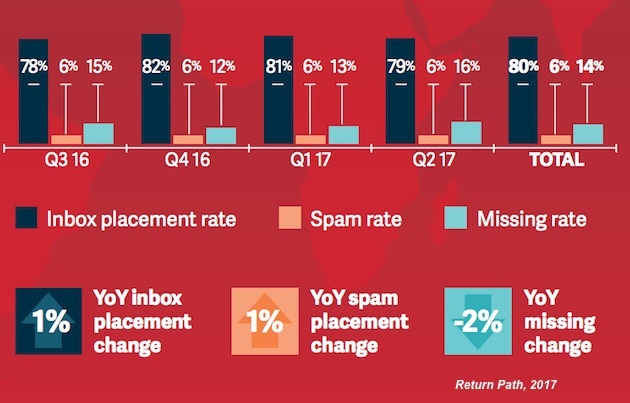 The average global inbox placement rate (share of total emails delivered successfully) was 80% in the time period examined: 14% of messages went missing, and 6% ended up in spam folders.